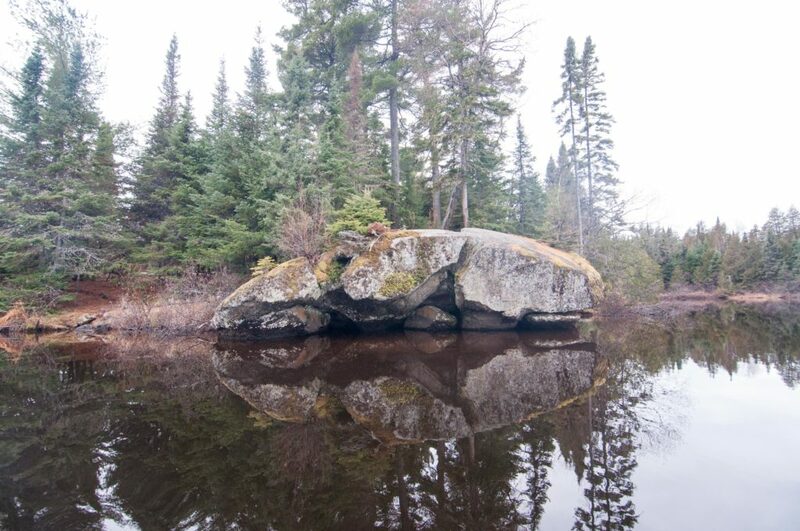 This extremely narrow, relatively shallow lake measures in at roughly 190 acres in size and offers seven well above average BWCA campsites and well above average fishing opportunities for walleye, northern pike, smallmouth bass and yellow perch. This lake would easily be on my top five list of lakes with the best overall campsites and fishing, which may explain why it consistently reminds me of a circus when I find myself camping overnight or passing through. 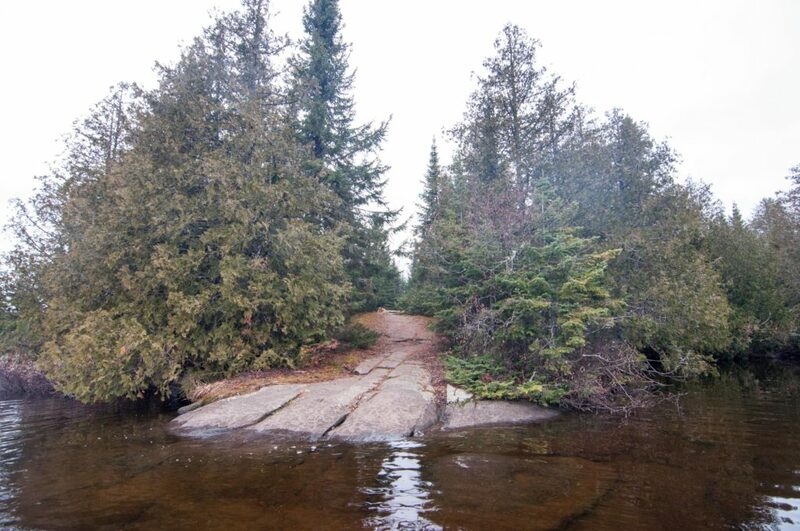 Its narrow waterways make it almost impossible for direct contact with passing canoeists to be avoided. 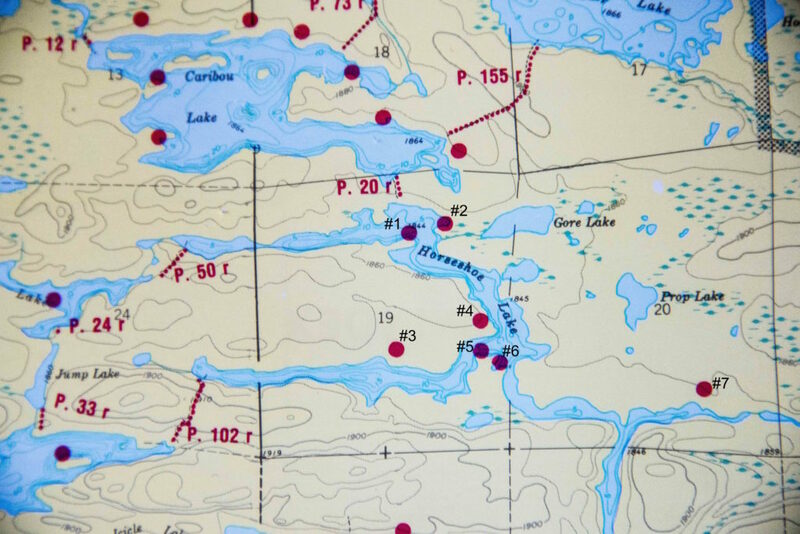 Along with people day tripping to take advantage of its fish filled waters that are well protected from the wind and its location on a popular route it can truly feel hectic during the summer months. Access is most common from entry point #47-Lizz and Swamp Lakes via two short portages from Poplar Lake and one short portage from Caribou. Even with three portages separating you from the access point they are all very short and well used, meaning access is still relatively easy. I don’t mean to over discourage potential campers with my feelings on how crowded this lake can get but it should be noted. 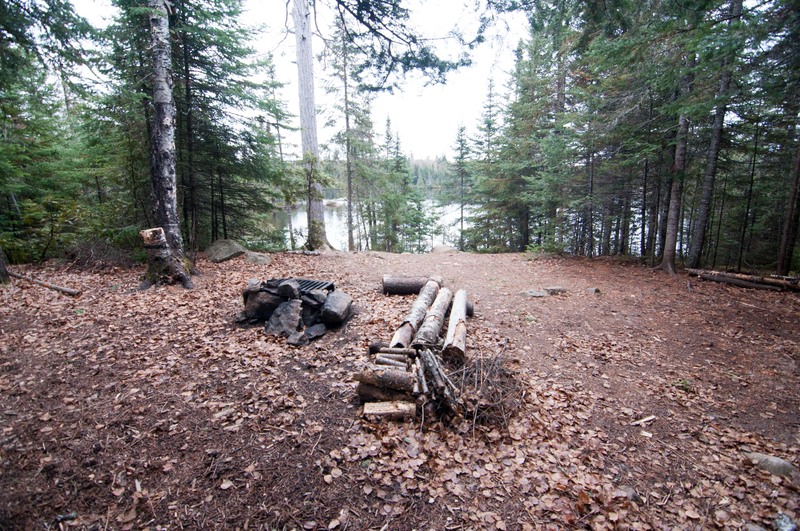 Honestly I don’t think most people mind this aspect of BWCA campsites, but for me at the very least even though most of these sites are above average, they come with an asterisk in my mind. 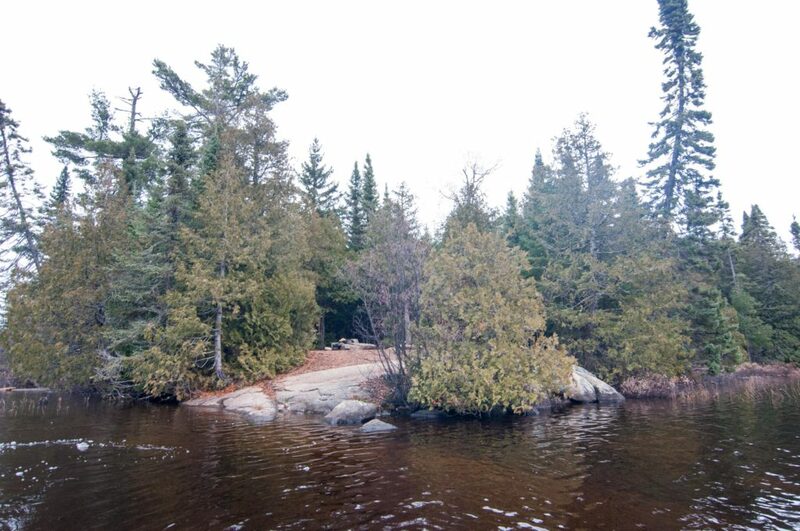 Out on the tip of a point directly south of the 20 rod portage in from Caribou is this nice elevated spot. 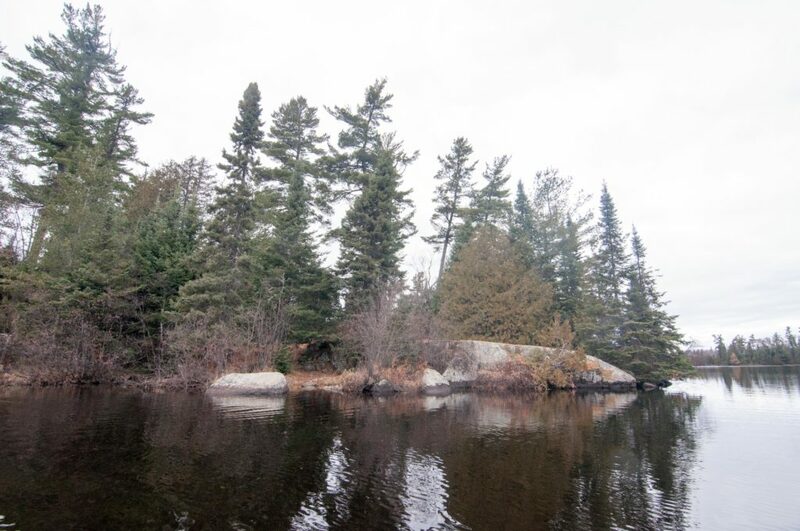 If you are coming from the east, you will spot this campsite from a mile away as it is a slab of sloping rock coming out of the water with a nice perched campfire area sitting on top. The landing isn’t great and you need to be careful but once you make the climb up to camp it is definitely worth it. Two very nice tent pads and a number of nice hammock spots can be found towards the back of the site and down closer to the water on the north side of the site. 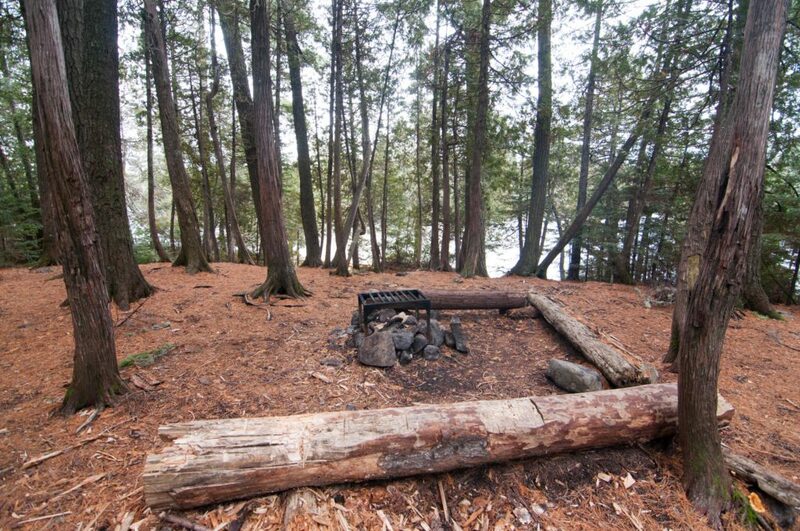 The only significant drawback is a direct line of sight into the campsite across the lake from the waters edge. 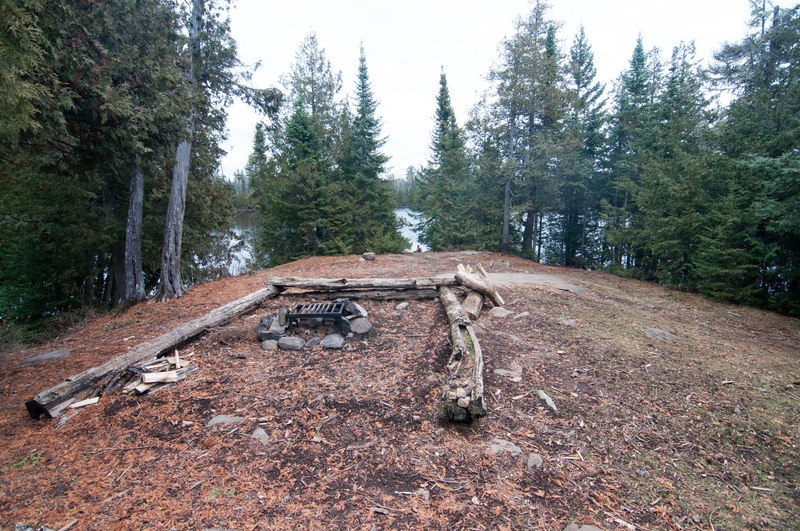 Though the landing is a bit rough and there aren’t great views of the lake from in camp the overall layout is plenty large with plenty of space for tents and hammocks. 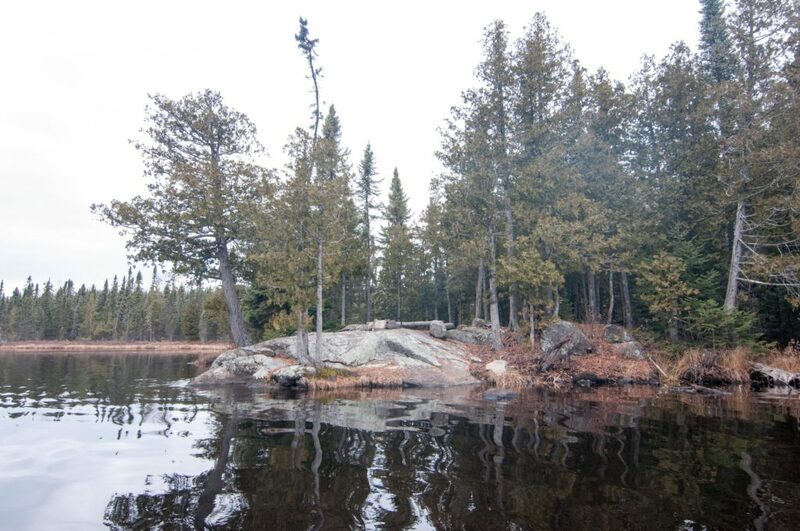 This is probably one of the more protected and private spots to call home for the night on the entire lake and though it doesn’t look like much from the water is more than adequate. 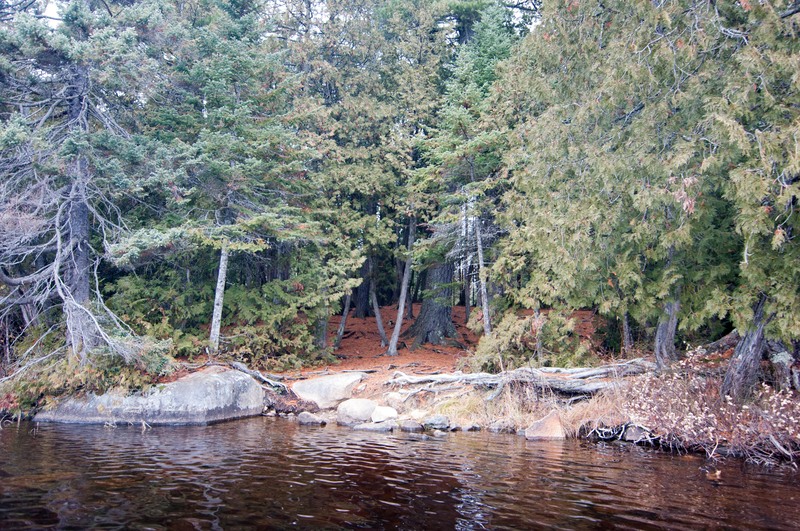 Located in the narrows on the southern arm of Horseshoe is the unique spot. 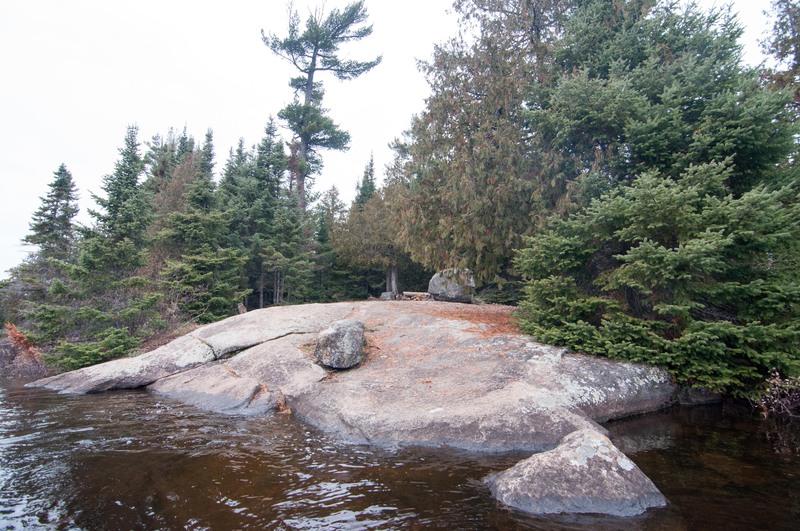 I will say that this one might be one of the more polarizing campsites that I have ever visited. From the water its landing is hardly more than a game trail and I was not expecting much as I walked up from the lake. 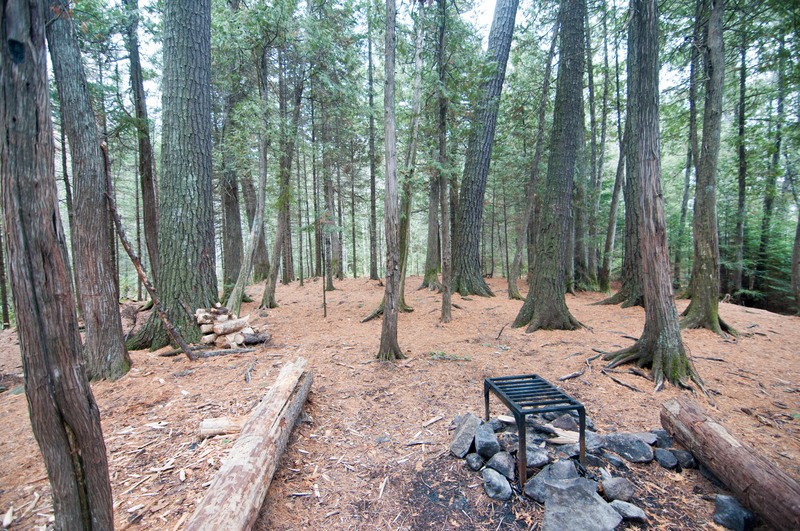 The fire grate area and campsite itself is set in a truly enchanted cedar grove with endless opportunities to set up hammocks, rain flies and tents. 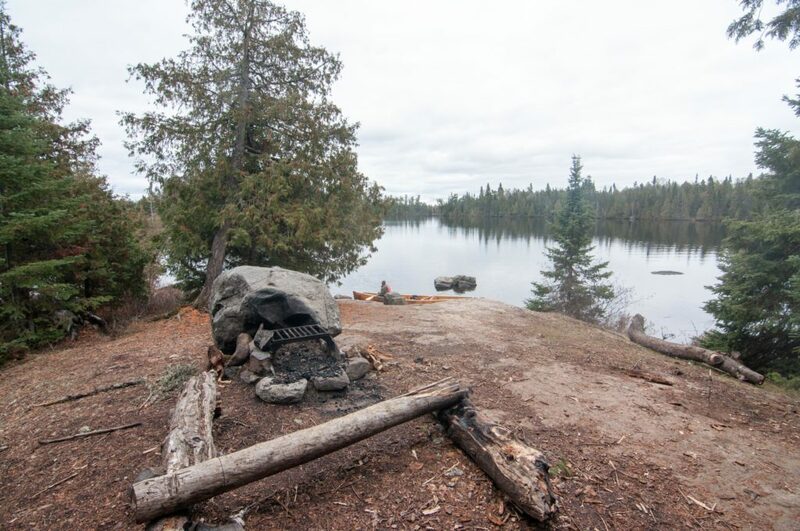 The reason I would assume this site might not be as appreciated by some would be from its lack of views of the lake, it’s almost like it’s not even there from the camp, which kind of defeats the purpose of BWCA camping. It’s extremely private and the feeling from that grove of woods made me feel very comfortable and I was just stopping by, I couldn’t image getting to spend a night there. 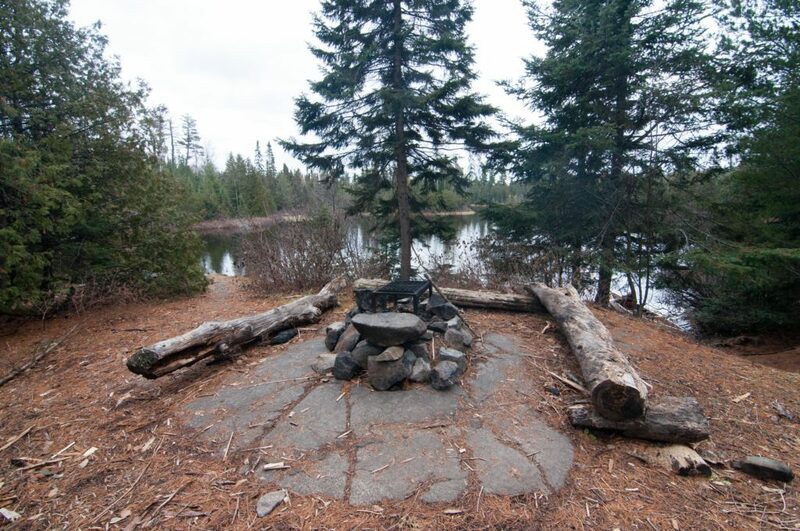 A pair of decent landings lead up to a nice flat, private little site. The landing right at the tip of the sight basically has a rock sidewalk leading up to the sight, and it can be challenging to tell if the spot is occupied or not until you are right in line with this path. There is a ton of flat space in camp though it is all surrounding the fire grate more or less. The lack of grand views is made for by the private feeling. This large sloping sight is bordering on being over used as the majority of the site is packed dirt. There is a ton of space for tents and hammocks that extend back into the woods quite a bit. There is a nice shallow slop landing but it doesn’t make for very good fishing or swimming. 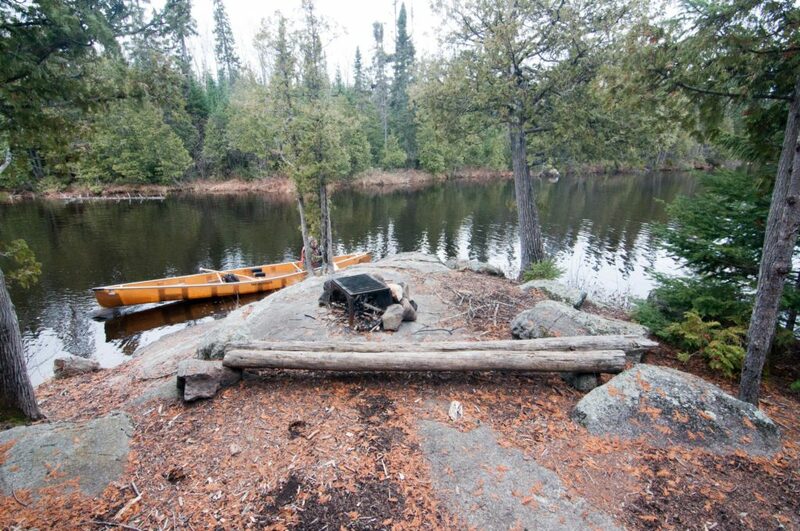 This is a very large campsite that can be accessed from multiple landings. 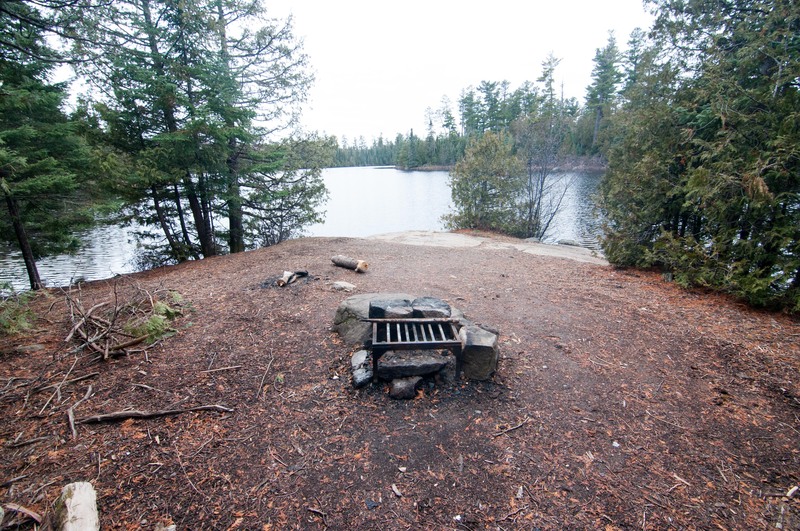 The fire grate area is propped nicely overlooking the lake with flat rocks surrounding it making for good footing. The space behind the fire grate is extensive and many flat areas abound. It continued so far back that I would guess you could easily make your way into campsite #5 with little trouble, though I did not confirm any official paths that do this. This campsite could easily accommodate the max group size. The last campsite on the eastern most strip of water on the lake is by far the quaintest; it’s like the tiny house of campsites, although its tiny, it still has everything you need. I would not recommend this spot for any more than two people, or four very close friends. The fire grate area is out on the perfect little jutting rock over a narrow waterway which makes it feel incredibly cozy. It definitely does not have more than the one tent pad, but it’s a nice one. In addition, this is essentially at a dead end part of the lake meaning you will more likely see moose than any canoeists. It’s my favorite site on the lake.